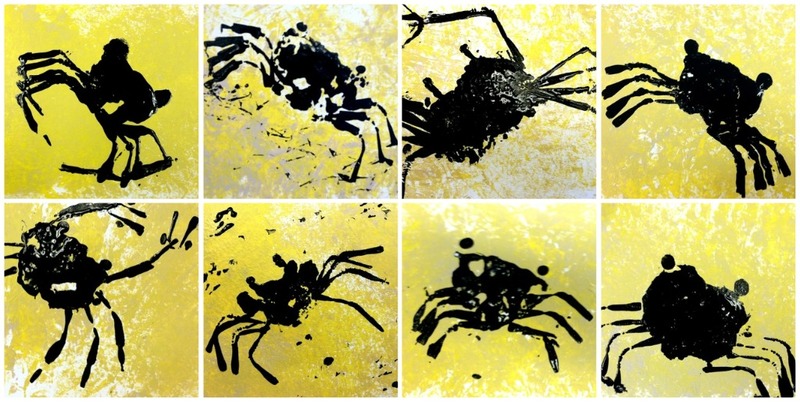 These clever crabs were created using press printing, which means painting an object and then pressing it onto paper to make a print. We used a plastic bag, aluminum foil and a straw to create these prints. It was a blast!